The Game is one of the more polarizing figures in rap music. Everyone pretty much knows that he has skills but the way he name-drops is annoying to many people. He has also had his share of controversies and contrived beefs with everyone from 50 Cent and his own label to Jay-z. While his last album, L.A.X., didn't fare well, he is back to reclaim the title as the best from the West on the mainstream market today. The album starts with an intro by Dr. Dre which is designed to tell the story that the record progresses through, but the first song, "The City" is a certified banger where Game spits some of the best bars with the most feeling since the Documentary was released. It also features Kendrick Lamar who also does a good job explaining his inspiration behind spitting. The track "Ricky" is serious, using samples from Boyz in the Hood as Game re-tells his own tale of growing up in Compton intermixed within the relationship of the movie. The beat by DJ Khalil might be the best production of the year overall. 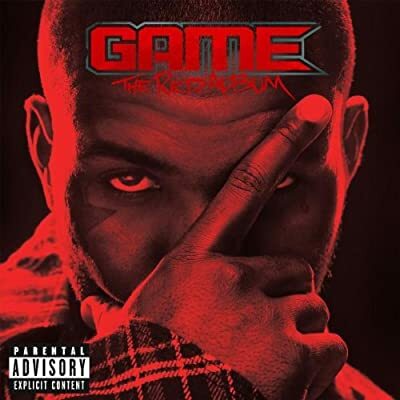 Personally, I could do without the hook on "Red Nation" which is done by Lil Wayne, but Game mixes his flows well and puts out an otherwise solid track thats an ode to his affiliation. The West Coast feel is prevalent on "Drug Test" that features Snoop, who has the best verse, Dr. Dre and Sly with the traditional funk bass lines, the only thing missing is the late Nate Dogg. Wayne is also sampled on "Martians vs. Goblins" that features Tyler the Creator who does his thing, but Game is too busy trying to mimic the horror-core artists style to really establish his own thing on the song but it isn't a bad track. Drake lends his flavor to "Good Girl Gone Bad" where Game spits about his respect for women while Drake tells them that he will be back after he messes with the bad girls. Average songs for me are "Heavy Artillery" with Rick Ross and Beanie Sigel (where they find him at? ), though it does have a good beat, "Paramedics" featuring Young Jeezy, " and "The Good, the Bad, the Ugly" where once again Game tells of how he got shot, only this time under the guise of being interrogated. His flow is boring and the story is the same thing we've heard on four albums so it gets old fast. Big Boi and e-40 also show up on "Speakers on Blast." In the potential singles category there is "Hello" which features Lloyd but it isn't anything too special. Mario (again Game digs up guys who've been gone for a while) and Wale co-star on "All the way Gone" which brings a different dimension to the album but truly Wale and Mario might have been better off as the song just belonging to them. Frequent collaborator Chris Brown handles hook duties on "Pot of Gold" the inspirational song of the album. Luu Breeze is the hook master on "All i Know" a solid album filler. The album ends on a slightly weird note with "Mama Knows" which features Nelly furtado and "California Dream". The Game is officially back with a solid album that has top-notch production throughout. Most songs retain the West Coast feel without being too far left for the mainstream, but he does suffer from having too many features on the album as usual. He also tends to try and rap like whatever artist he has on a track instead of bringing his usual thing to the equation, or switching his flow on a solo song. The album is probably two songs too long and his repeated use of "red bottoms" is this albums crutch. He also manages to minimize his name dropping and change how he does it so it isn't too corny. That aside it is a very good album, maybe not the Documentary but you can only have your first album once. This puts Game back on the top where he should be.